a.k.a. Here’s hoping you’re not paying that much attention. Bad enough that they’ve decided we even want to tip 20% for bad service (20 minutes to get a drink; 30 for a glass of water) and mediocre food. I wonder who gets the “extra” if we don’t notice and tip twice. I doubt it’s the waitstaff. Couldn’t agree more. The restaurants have outsourced their payroll to the customers! Insane. 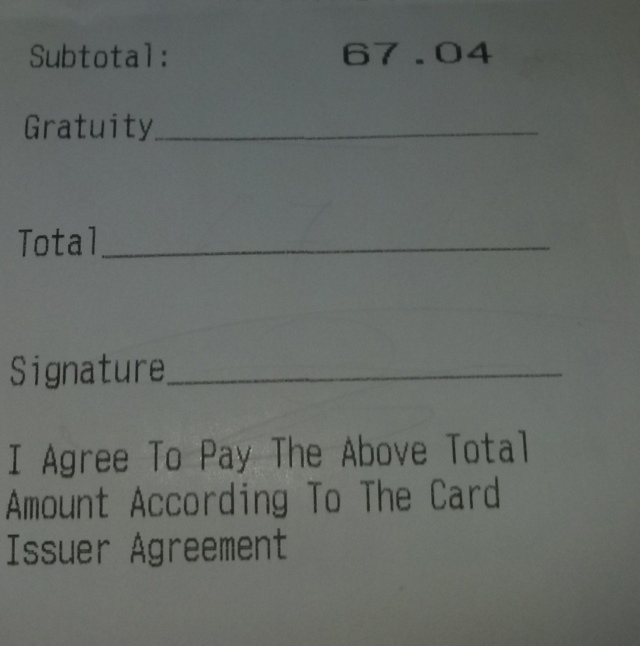 I hate automatic gratuity. One of my pet peeves. 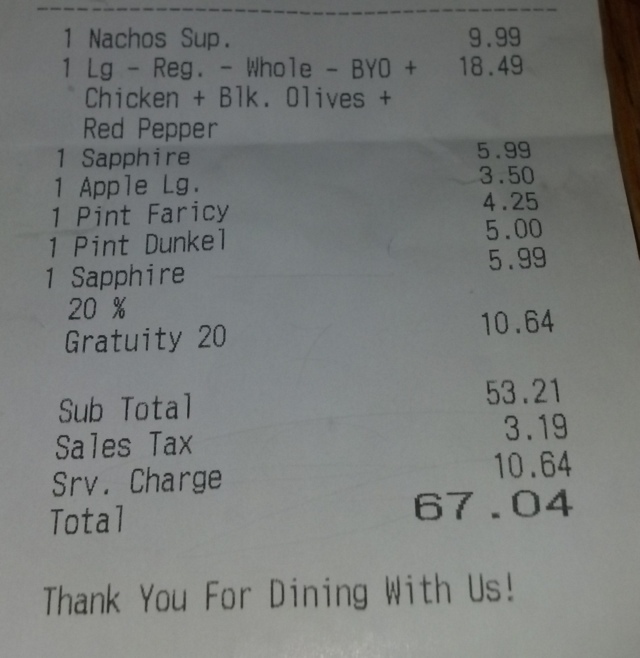 Automatic gratuity.